<짜릿한 전기파티: Zestful Electric Party> WCU Digital Media Art Camp will be held intensively for a week, from June 28th to July 3rd, 2010 in Seoul. This camp is for professional designers and artists who have interests in physical computing and media art but, haven’t had a chance to learn physical computing & visual programming. There will be intro classes for Physical Computing and Processing then some open optional one day workshops for participants to choose. This camp is organized and funded by Hongik University WCU Digital Media Public Art Research Center. During the wcu digital media art camp, Younghui will be teaching a one day workshop, “Expressive Wearable Technology” on wed, June 30th! 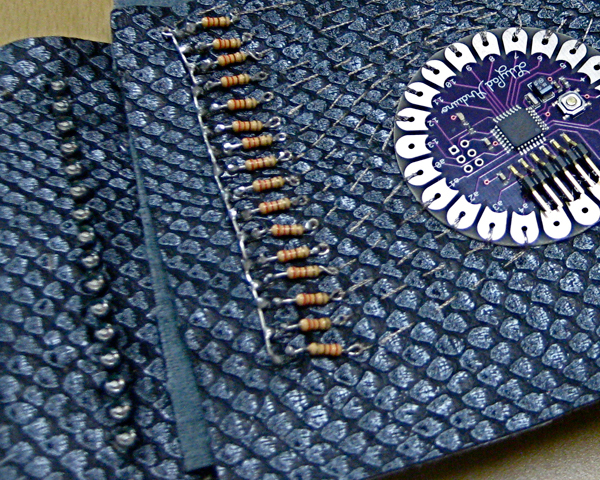 She will demonstrate how to make soft electronic sensors using conductive fabrics and thread and also how to use Lilypad Arduino during this workshop. Participants will make interactive wearable sound applications or visual displays during this intensive workshop. 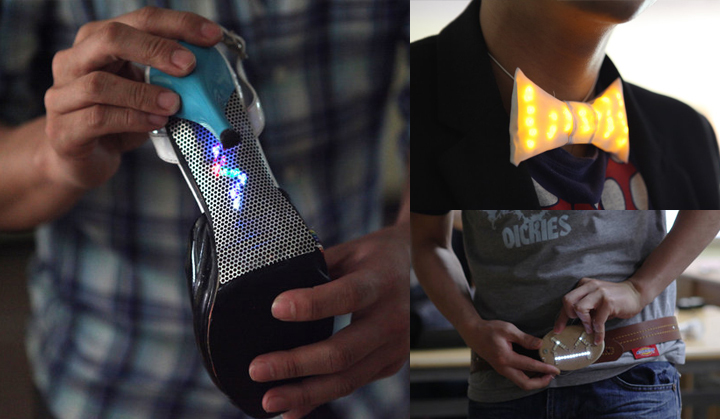 Below are results from two sessions of 4 hour wearable workshops by Hongik University BFA students.